Asbestos exposure is the primary cause of mesothelioma. While asbestos exposure can occur in the workplace, it can also happen at schools and homes, as well as when using certain types of products. Determining the source of asbestos exposure can be essential to figuring out the available legal remedies for those diagnosed with mesothelioma. During your FREE consultation, we will explain your rights, answer your questions and advise you of your legal options. If you can’t visit our offices, we offer free virtual and mobile consultations. 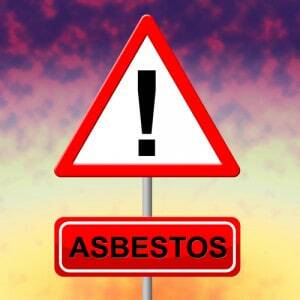 Asbestos is a compilation of six fibrous minerals, making it heat- and fire-resistant. Coming into contact with asbestos can result in the inhalation of small asbestos fibers. These fibers can inflame, irritate and damage the lining of the lungs, abdomen and/or heart. They can also become lodged in these linings. Pericardial mesothelioma, affecting the heart. Pleural mesothelioma is by far the most common form, accounting for about 80 percent of mesothelioma diagnoses. Exposure to radiation, certain viruses and/or certain toxic substances. Remain workers’ clothing after they leave the work environment, potentially resulting in secondary asbestos exposure to family members. A mesothelioma lawyer at the Amaro Law Firm is ready to discuss your situation and review your potential claim. With more than two decades of experience representing clients in mesothelioma claims, our attorneys have the knowledge and insight you can rely on for effective advocacy and the best possible outcomes. Our goal is to help you maximize your financial recovery so you can focus on restoring your life. In mesothelioma cases, we represent patients and families from across the U.S.